HomeEmissionsEnvironmentGreen ProductsRecyclingRenewable energyHow Can Air Pollution Be Controlled? 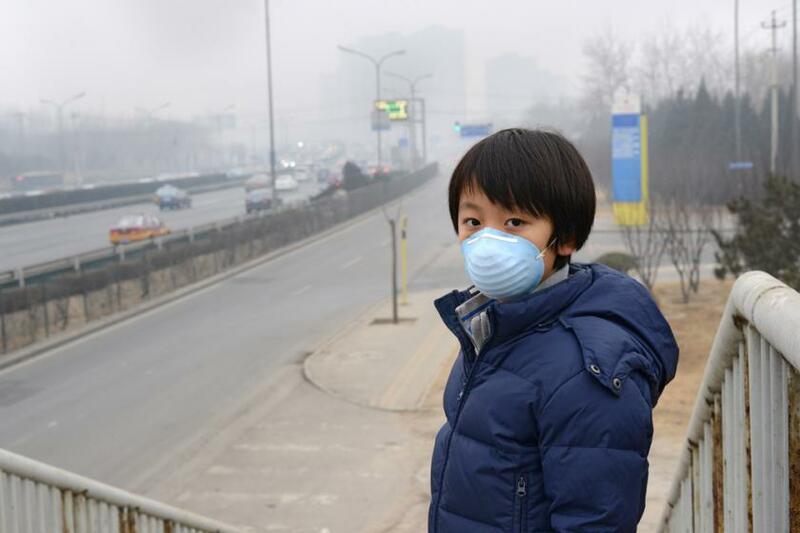 How Can Air Pollution Be Controlled? Controlling emissions of air pollutants from industrial and domestic sources is important in protecting public health and welfare. Be it Beijing, Delhi, London, Paris, Manila or São Paulo, the data suggests the urban environment is the most dangerous when it comes to air pollution. It has now become the world’s largest single environmental health risk. Reducing air pollution could save millions of lives. Air pollution can generally be defined as the presence of one or more contaminations in the atmosphere in such a quantity and of such duration tends to be injurious to human health, animals, plants, properties and unreasonably interfering with an enjoyment of life or property. Unlike water pollution, air pollution is more difficult to control as air is more diffusive, therefore, any control technology for air pollution will be more effective at the source rather than after dispersion into the environment. Tall stacks are used to dilute particles present in the air. Pollutants released from taller stacks easily disperse and their low ground level concentrations are observed. Tall stacks penetrate the inversion layer and disperse the contaminants easily that make it less harmful at ground level. Studies reveal that air pollutants originate primarily from industrial processes. Past observations show that more than 18 million tons of suspended particulate matter were emitted to our atmosphere. Out of these; 50% was contributed by industries alone. In view of the above issue, the following devices divided into five major groups in vogue are generally used. There are various criteria considered while selecting the devices such as size distribution, shape, density, stickiness and hygroscopicity and electrical & thermal properties of particulate matter. Sulfur oxides (SOx), nitrogen oxides (NOx) and hydro-carbons (HC) are the principal gasses of concern in air pollution control. The mechanism like chemical engineering unit operations which include absorption, condensation and combustion can be used to control these gasses. SOx include six different gaseous compounds of Sulphur namely Sulphur monoxide (SO), Sulphur dioxide (SO2), Sulphur trioxide (SO3), Sulphur tetraoxide (SO4), Sulphur sesquioxide (S2 O3) and Sulphur heptaoxide (S2 O7). Out of these, SO2 and SO3 are the most significant in air pollution. The following control and removing technologies are used to check and control emissions of SOx. The reduction of SO2 is primarily focused on fossil-fuel combustion sources. Reductions can be accomplished through the use of lower sulfur–containing fuel and/or installation of wet or dry scrubbers. Some of the selection criteria in case of Flue Gas Desulphurization (FGD) technology, are Reagent (consumption, cost, and availability – Limestone is the preferred reagent used in the industries), By-Product (Revenue/Disposal), SO2 content in exhaust gas, SO2 emissions regulations, utility consumption (power and water), and type of user industry. NOx is one of the four major of photochemical smog. Nearly 30% acid is caused due to NOx and over 90% or all the man-made nitrogen oxides that enter our atmosphere are produced by the combustion of various fuels. The first level of NOx control, in the case of boilers, would be a low-NOx burner (LNB). These burners are designed to operate at cooler temperatures in order to minimize the formation of thermal NOx. NOx can be controlled by selective non-catalytic reduction (SNCR), which involves the injection of ammonia or urea into the exhaust to react with NOx to form nitrogen and water. Without the benefit of a catalyst, the reaction temperature is very high (1,400 to 1,500°F), which makes SNCR only effective in a relatively high, narrow temperature range. The burning of fuels creates the main air pollutants in the environment. Fuels like wood have very little sulfur, whereas coals have 0.5-3% sulfur while oils generally have more sulfur by less than coal. If we burn these fuels, the sulphur in them mostly forms sulphur dioxide (SO2). To reduce sulphur present in burning, the following methods may be used. Replacing petrol as a motor fuel with CNG or propane. 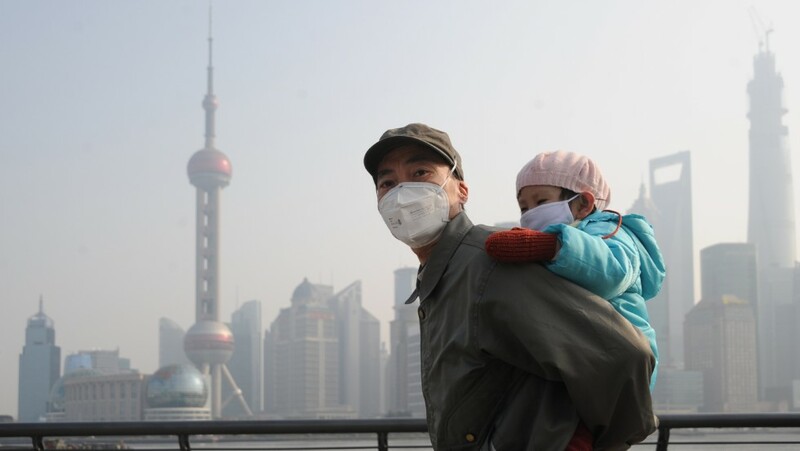 Several attempts are being made worldwide on personal, industrial and governmental levels to curb the intensity at which air pollution is rising. Still, more initiatives need to be implemented to curb the impending effect of air pollution, such as use public mode of transportation, conserve energy, concept of Reduce, Reuse and Recycle, use renewable energy sources, and use energy efficient devices. Science and technologies are required to provide solutions and alternatives for air pollution in the atmosphere. Therefore, a scientifically sound understanding is urgently needed to disclose the key reasons for regional complex air pollution problems and for the effective implementation of control measures.